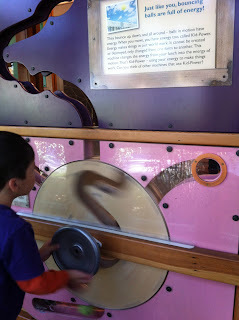 Behold the tennis ball gizmo where kids operate a system of pulleys, cranks, spirals and wheels to keep balls running floor to ceiling across three large wooden-and-glass panels full of cool ball energy tricks. 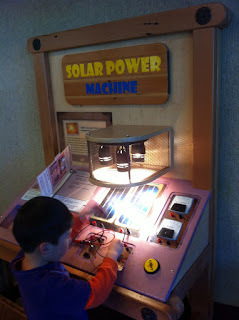 A solar power machine teaches electrical circuits, plus there's wind and hydro-electric machines. Budding biologists are in real luck. 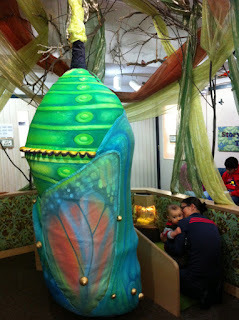 The PAJMZ houses a new bug exhibit with plenty of live insects and beautiful specimens. They've even added a "baby bramble" made especially for pre-walkers to explore in safety, next to this gorgeous giant butterfly chrysalis (that's my friend snuggling her little guy). 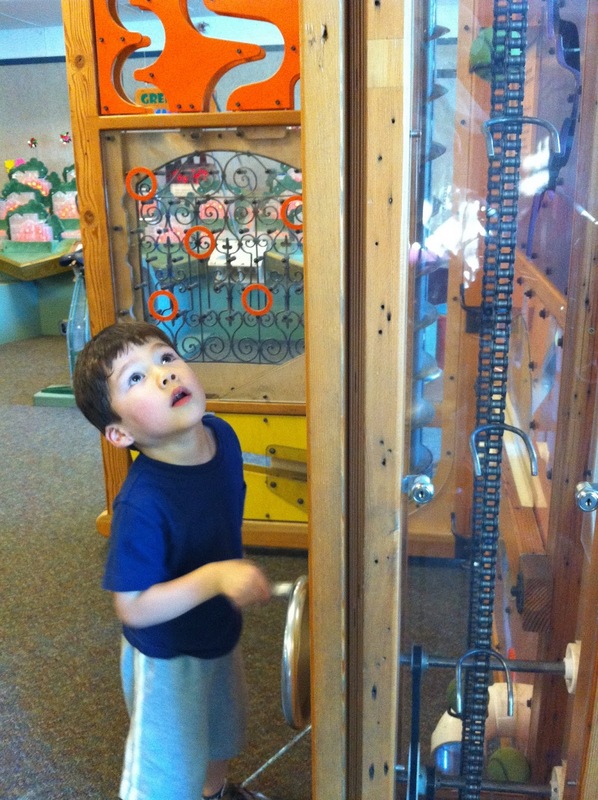 What are some of your favorite family escapes when the kids are bouncing off the walls at home? Thanks for visiting NogginMama.com, a blog about nurturing the minds of our little ones while staying sane ourselves. You're cordially invited to subscribe. Awesome! Way to keep the neuro transmitters firing and having fun at the same time! Nice photos too!